Blog | HeartLand Acquires Keesen Landscape Management, Inc.
HeartLand Acquires Keesen Landscape Management, Inc.
01 Nov HeartLand Acquires Keesen Landscape Management, Inc.
November 1, 2016 – Mission Woods, KS. HeartLand, a GRC portfolio company, has acquired Keesen Landscape Management, Inc. a Denver-based commercial landscape management company. This acquisition marks HeartLand’s expansion into Colorado and reinforces HeartLand’s commitment to building relationships and delivering exceptional service through commercial landscape firms across the Midwest and Mountain-West regions. Keesen Landscape Management, Inc. is one of Denver’s leading commercial landscape management companies. 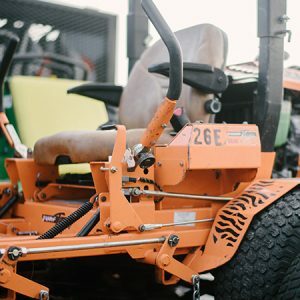 Keesen has been providing award-winning, high-quality commercial landscape maintenance, irrigation and installation services in Denver, Colorado, and its surrounding communities for more than 40 years. Beekhuizen will continue to serve as President and retain ownership in the combined company. To learn more about Keesen Landscape Management, Inc. visit keesenlandscape.com. To learn more about HeartLand or Great Range Capital’s other portfolio companies, visit greatrangecapital.com. Great Range Capital, a private equity firm based in greater Kansas City, primarily targets controlling equity investments in Midwestern companies with revenues ranging from $20 to $150 million. Learn more about Great Range Capital at greatrangecapital.com.